The amazing spring sunshine in Ibiza is warming our hearts and minds, and we can feel excitement mounting as new spring energies invite us to “get going”, to become outdoors-active, to spring-clean and to creatively arise! With the evenings getting longer, we turn towards the light, and it feels more important to spend some time preparing ourselves for the Summer and to cultivate balance in body, heart and mind. So how are you going to balance this new energy infusion? How would you like to have the tools to ride the waves of new creative impulses, both personally AND professionally? Here is a quick 5 step “spring energy assessment” to focus your wishes, intentions and actions into a simple-fun-for-life strategy:. (1) List YOUR top 5 intentions – or goals – for this spring-summer season, ensuring they are positively stated and in the present tense as if you are experiencing them right now. (2) Now write down the ENERGY benefits of each of these intentions/goals; what will be the benefits for you, your life, your loved ones and your family when you are creating / achieving all of these? (3) Re-read the list – and place the one at the top that will GIVE YOU the most energy, and that will keep your batteries charged. (4) Give each of these a colour and allocate the amount of time per DAY / WEEK you can realistically give to this – whether thinking about it, feeling it or taking action on it. The secret is to reflect each Sunday, before the week ahead begins and to double check, as you plan your YOU-time diary for the week ahead, that everything feels realistic and compelling. It should not feel stressful or overwhelming – if it does – do less, and “be” more. Notice any patterns of self-pressure and keep doing less until you are on track to keep doing what your body-mind-heart desires. Remember – all of this is supposed to be FUN! JOY is the highest energy vibration which feeds itself sustainably – so check in with how you feel when planning and progressing this springtime. Be happy! Enjoy holistic life and energy Coaching during our HARMONISE, NOURISH and GET GLOWING RETREATS. 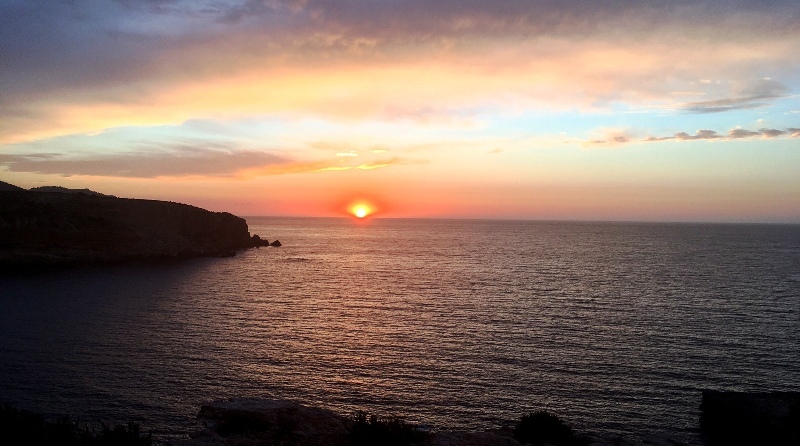 You can also book private sessions with Ibiza Retreats Founder and Co-Director Larah Davies via SKYPE. Email info@ibizaretreats.com for details. Spring is the start of salad season! What is Yoga Therapy and who does it benefit?